To enrich the feeds and feeding of the cows, goat and poultry, KVK introduced the innovative concept i.e. feeding of Azolla. Azolla is blue green algae and generally used as biofertilizers due to its high proteins contents ( 24 percent) besides amino acid ,vitamins and minerals. 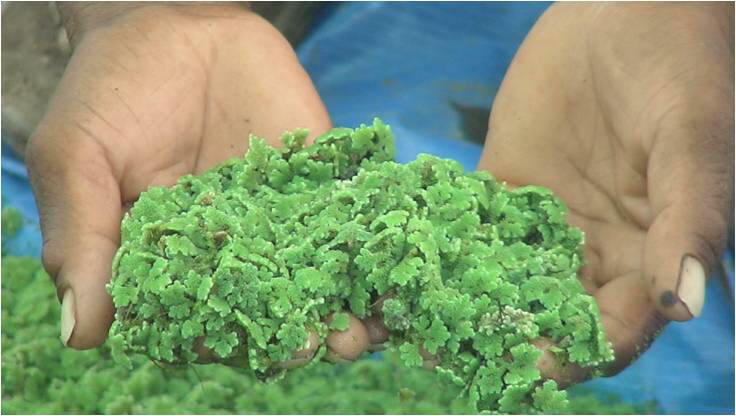 Basically azolla is bioagent, which is not harmful to nature and can be produced with very little investment with minimum technology. 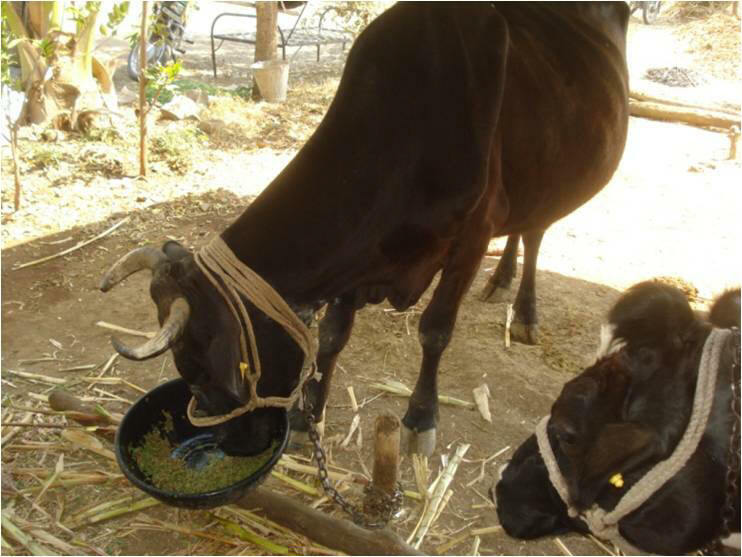 With this intervention, KVK conducted trials on cow, goat and poultry and found that not only we can save the concentrate feed by 20 to 25 per cent which is very costlier but also the yield of meat or milk has been increased by 10 to 15 per cent. To promote azolla production on large area, KVK conducted trainings for 121 farmers and farmwomen, demonstrated with the 76 farmers having cow, goat or poultry to see the impact. 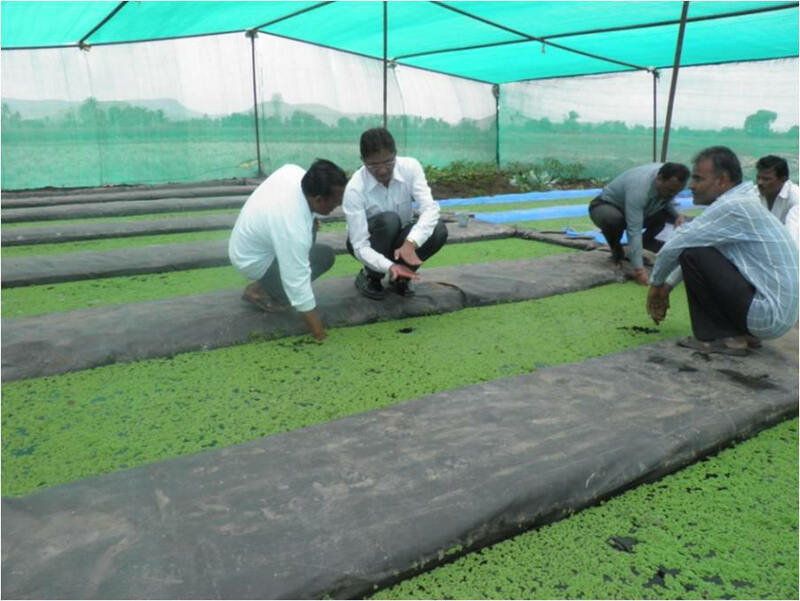 .KVK build up Azolla production unit for supply of culture KVK is intensively working in one village to see the aggregate results where local dairy cooperative is involved to record the results and outcomes.